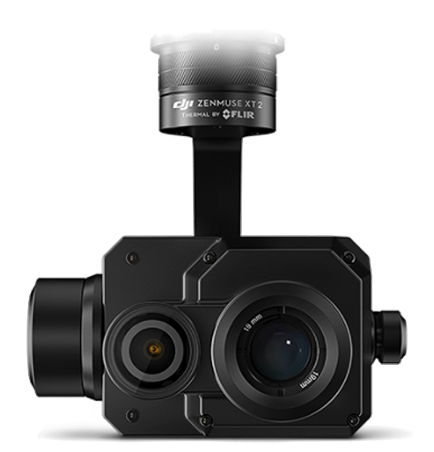 The FLIR radiometric thermal sensor and 4K visual camera integrate seamlessly with DJI’s powerful enterprise drone platforms to increase efficiency. Combining the XT2’s weather-resistant dual sensor with the M200 allows pilots to fly in rain, snow, smoke, and fog. MSX intelligent image processing embosses visible image edge details onto thermal images for enhanced perspective and safety. You need help choosing a product, or help with one that you’ve already purchased, give us a call so we can assist you! 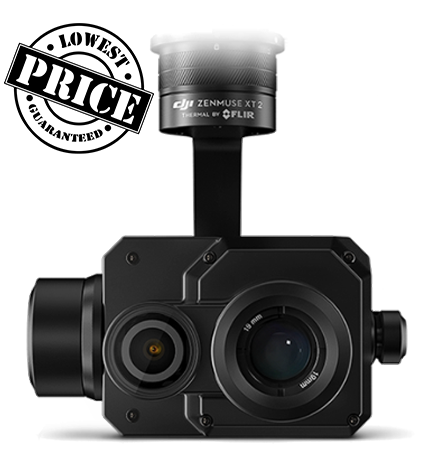 Enabled by a suite of processors and computer vision algorithms, XT2’s onboard Machine Intelligence helps teams identify what’s important while on site, instead of after lengthy processing times. Featuring Temp Alarm, Heat Track, FLIR MSX, Isotherms, Color Palette choices and more, XT2 helps professionals capture and record temperature data at the pixel level to deliver accurate, real-time insights so they don’t miss a thing. File Storage microSD card * The SD card, which is located near the lens, is used to store TIFF Sequence and SEQ infrared RAW video only. The other format footage will be stored in the other SD card. Fill out the form below to Request Info form. Fill out the form below to Request a Quote form.